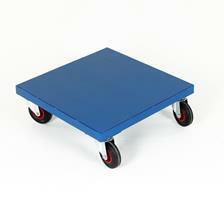 Our most popular range of Rolling Skates and Dollies you can choose from rolling corners, platform skates, and dollies. 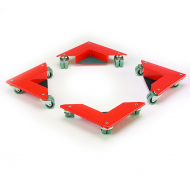 Ideal for moving heavy equipment and machinery quickly and easily. Our range includes skates and dollies and rolling platforms that can carry loads from 300kgs up to 600kgs. 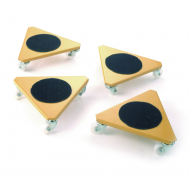 For heavy duty equipment why not choose our heavy duty skates able to move up to 4 tonnes. Ideal for removal companies, or where heavy loads need to be moved hassle free.